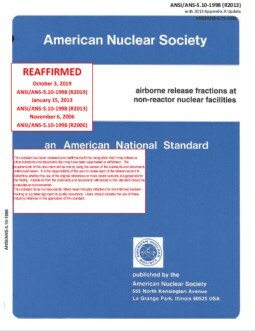 This standard contains methods and data needed to calculate the concrete thickness required for radiation shielding in nuclear power plants. 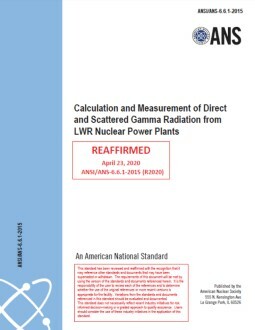 Where possible, specific recommendations regarding radiation attenuation calculations, shielding design, and standards of documentation are made. 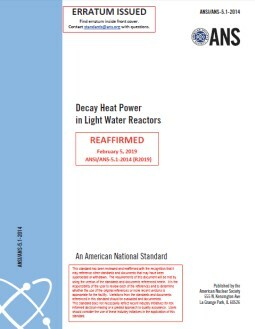 It provides guidance to architect-engineers, utilities, and reactor vendors who are responsible for the shielding design of stationary nuclear plants. It does not consider sources of radiation other than those associated with nuclear power plants. It also excludes considerations of economic aspects of shielding design. Concrete is a mixture of materials, the exact proportions of which will differ from application to application. This standard includes a discussion of the nature of concrete, emphasizing those variable aspects of the material that are important to the shield designer. The document discusses methods of analysis and the shielding input data appropriate to each method. Applications of the analytical methods are given, including bulk transport, radiation heating, streaming, and reflection problems.